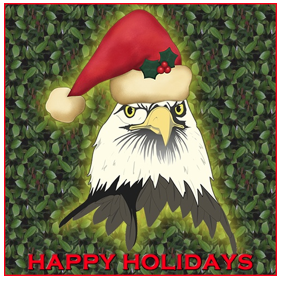 Happy Holidays from Friends of the Kaw! In May of 2013, the Corps of Engineers (COE) closed four dredging permits between Lawrence and Eudora because of unacceptable erosion to the bed of the Kaw. Also, the COE has still not made a decision on the two-year-old proposal to approve or deny thirteen in-river sand dredging permits most with higher tonnage limits and lengthened stretches. We’ll let you know when comments need to be submitted on a new Environmental Assessment (EA) on Kansas River Commercial Sand and Gravel Dredging. Commercial sand and gravel dredging have seriously degraded the Kansas River and all operations should move to appropriately sited pit mines in the Kansas River valley. On a more positive note, the Kansas Department of Wildlife, Parks and Tourism with the assistance of the National Park Service and Friends of the Kaw have continued to improve the Kansas River Water Trail, the second river designated into the National Water Trail System. Look for the new Kansas River Trail Map at Kansas Visitor Centers (or we’ll be happy to send you one) and notice the new highway signs to many of the access ramps. On September 26, 2013 over 100 people attended the Governor Brownback’s float from Wamego to Belvue. The Belvue access ramp was dedicated after the float. A new access ramp at the Maple Hill Bridge will hopefully be built in 2014. Please send your tax-deductible gift today either by mail (FOK, P.O. Box 1612, Lawrence, KS 66044) or PayPal (link on right) to help us get these dredging operations out of the river. Over 800,000 Kansans depend on the Kaw for their drinking water, and the river is home to many native animals and plants. Thank you for your continued support of Friends of the Kaw. Together we are protecting the Kaw for this and future generations. P.S. Your gift to Friends of the Kaw helps us keep dredging out of the river, report and follow up on pollution violations, advocate for reduction of stormwater pollution from both urban and rural areas, and demand enforcement of the Clean Water Act. Thank you! Friends of the Kaw’s first priority is to physically monitor the river, report suspected pollution and mediate a solution. Documentation and monitoring of sand dredging operations by visually monitoring dredge sites and communicating with the Corps of Engineers (COE) on two year old proposal to approve or deny 13 in-river dredging permits. Responded to twelve pollution reports including concrete dumping, sewage & oil spills in KCK; trash & medical waste dumping in Topeka; questionable irrigation practices; fish kill in Wamego and foam and algae in Lawrence. Publicized sewage spill and problem with Combined Sewage Overflows (CSOs) in KCK & KCMO in May of 2013. 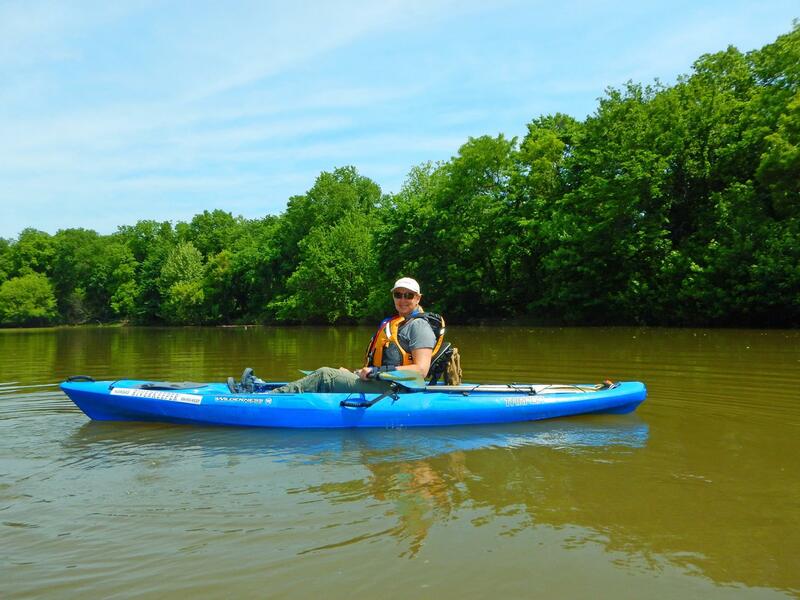 Kansas Riverkeeper is a member of the Governor’s River Recreation Committee charged with promoting the Kansas River National Water Trail and the Kansas Lower Republican Basin Advisory Committee representing recreation. Our goal is to increase awareness of the Kaw as a drinking water source for 800,000 Kansans and access to the river. Organized and led fifteen educational float trips introducing over 400 people to the beauty of the Kaw. Constructed signage to highlight wetlands, and ways to curb stormwater pollution at RiverFest Park in De Soto. Worked with the Kansas Department of Parks, Wildlife and Tourism and the National Park Service on promotion of the Kansas River Water Trail, to organize Governor’s Float from Wamego to Belvue on September 26, 2013, publish a Kansas River Trail Map and locate directional signs installed on highways to Kansas River Access Ramps. Presented at over thirty educational outreach events at schools, outdoors shops, churches and community gatherings in the Kansas River valley, reaching over 7,500 people in the community. Completed the access ramp and riverfront park in Belvue, KS and finalized plans for the Rossville access ramp at the Maple Hill Bridge – this will be the 21st ramp built on the Kaw. Friends of the Kaw is very close to achieving one of our main objectives: to facilitate and access ramp every 10 miles on the Kansas River. Sponsored and participated in Concert for the Climate at Kaw Point featuring keynote speaker, Robert Kennedy, Jr.
Fundraising Events: River City Cook Off, Shawnee and Lawrence Catfish Fries, Wild & Scenic Film Festival, and the Annual Dinner and Silent Auction.